During the 1950s, legendary French musique concrete pioneer Pierre Henry released a number of works under the ‘Panorama of Musique Concrete’ banner, probably suggested by the label to give a good entry point for budding experimental music heads. 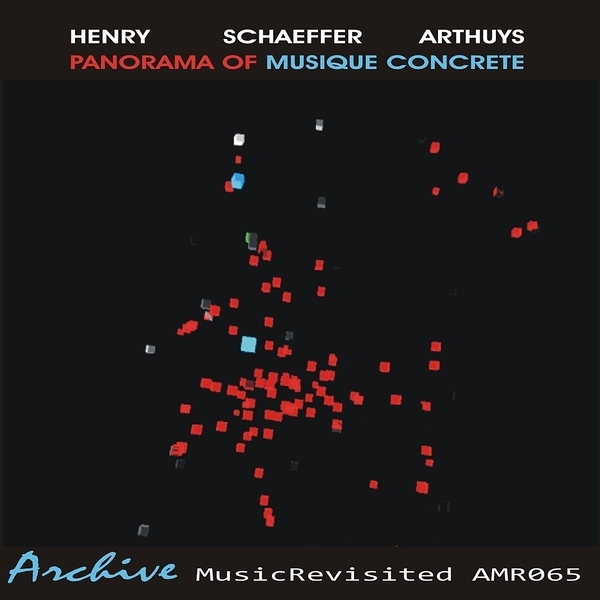 On this first volume we see Henry in collaboration with the similarly influential Pierre Schaeffer as well as solo, and are also treated to a selection from Philippe Arthuys. The music itself ranges from the startling instrumental studies where Henry and his collaborators manipulate the sounds of drums, flute and piano to the startling ‘Primitive 1948’ which sounds like noisily treated thumb piano and kora. The high point of the disc is easily the eerie fifteen-minute composition ‘The Veil of Orpheus’ which sounds almost as if it could have emerged from the hallowed BBC Radiophonic Workshop with its creepy sci-fi pads and electromagnetic waves. Massively Recommended.